Unfortunately, many people who lose weight end up gaining it back. In fact, only about 20% of dieters who start off overweight end up successfully losing weight and keeping it off in the long term (1). However, don’t let this discourage you. There are a number of scientifically proven ways you can keep the weight off, ranging from exercising to controlling stress (1). These 17 strategies might be just what you need to tip the statistics in your favor and maintain your hard-won weight loss. Restrictive diets: Extreme calorie restriction may slow your metabolism and shift your appetite-regulating hormones, which are both factors that contribute to weight regain (2). Wrong mindset: When you think of a diet as a quick fix, rather than a long-term solution to better your health, you will be more likely to give up and gain back the weight you lost. Lack of sustainable habits: Many diets are based on willpower rather than habits you can incorporate into your daily life. They focus on rules rather than lifestyle changes, which may discourage you and prevent weight maintenance. Summary: Many diets are too restrictive with requirements that are difficult to keep up with. Additionally, many people don’t have the right mindset before starting a diet, which may lead to weight regain. 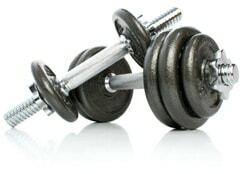 Regular exercise plays an important role in weight maintenance. It may help you burn off some extra calories and increase your metabolism, which are two factors needed to achieve energy balance (3, 4). When you are in energy balance, it means you burn the same number of calories that you consume. As a result, your weight is more likely to stay the same. Several studies have found that people who do at least 200 minutes of moderate physical activity a week (30 minutes a day) after losing weight are more likely to maintain their weight (5, 6, 7). In some instances, even higher levels of physical activity may be necessary for successful weight maintenance. One review concluded that one hour of exercise a day is optimal for those attempting to maintain weight loss (1). It’s important to note that exercise is the most helpful for weight maintenance when it’s combined with other lifestyle changes, including sticking to a healthy diet (8). Summary: Exercising for at least 30 minutes per day may promote weight maintenance by helping balance your calories in and calories burned. Eating breakfast may assist you with your weight maintenance goals. Breakfast eaters tend to have healthier habits overall, such as exercising more and consuming more fiber and micronutrients (9, 10, 11). Furthermore, eating breakfast is one of the most common behaviors reported by individuals who are successful at maintaining weight loss (1). One study found that 78% of 2,959 people who maintained a 30-pound (14 kg) weight loss for at least one year reported eating breakfast every day (12). However, while people who eat breakfast seem to be very successful at maintaining weight loss, the evidence is mixed. Studies do not show that skipping breakfast automatically leads to weight gain or worse eating habits (13, 14, 11). In fact, skipping breakfast may even help some people achieve their weight loss and weight maintenance goals (15). This may be one of the things that come down to the individual. If you feel that eating breakfast helps you stick to your goals, then you definitely should eat it. But if you don’t like eating breakfast or are not hungry in the morning, there is no harm in skipping it. Summary: Those who eat breakfast tend to have healthier habits overall, which may help them maintain their weight. However, skipping breakfast does not automatically lead to weight gain. Eating a lot of protein may help you maintain your weight, since protein can help reduce appetite and promote fullness (16, 17, 18). Protein increases levels of certain hormones in the body that induce satiety and are important for weight regulation. Protein has also been shown to reduce levels of hormones that increase hunger (19, 20). Protein’s effect on your hormones and fullness may automatically reduce the number of calories you consume per day, which is an important factor in weight maintenance (20). Furthermore, protein requires a significant amount of energy for your body to break down. Therefore, eating it regularly may increase the number of calories you burn during the day (18, 20). Based on several studies, it appears that protein’s effects on metabolism and appetite are most prominent when about 30% of calories are consumed from protein. This is 150 grams of protein on a 2,000 calorie diet (21, 22, 23, 24). Summary: Protein may benefit weight maintenance by promoting fullness, increasing metabolism and reducing your total calorie intake. 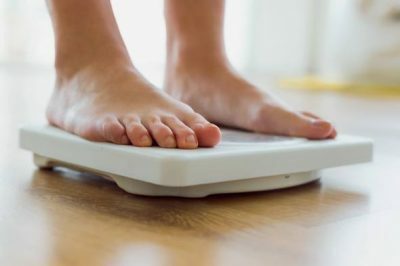 Monitoring your weight by stepping on the scale on a regular basis may be a helpful tool for weight maintenance. This is because it can make you aware of your progress and encourage weight control behaviors (25). Those who weigh themselves may also eat fewer calories throughout the day, which is helpful for maintaining weight loss (26, 25). In one study, people who weighed themselves six days a week, on average, consumed 300 fewer calories per day than those who monitored their weight less frequently (26). How often you weigh yourself is a personal choice. Some find it helpful to weigh in daily, while others are more successful checking their weight once or twice a week. Summary: Self-weighing may aid weight maintenance by keeping you aware of your progress and behaviors. Weight maintenance may be easier to accomplish if you pay attention to the types and amounts of carbs that you eat. Eating too many refined carbs, such as white bread, white pasta and fruit juices, can be detrimental to your weight maintenance goals. These foods have been stripped of their natural fiber, which is necessary to promote fullness. Diets that are low in fiber are associated with weight gain and obesity (27, 28, 29). Limiting your carb intake overall may also help you maintain your weight loss. Several studies have found that, in some cases, those who follow low-carb diets after weight loss are more likely to keep the weight off in the long term (30, 31). Additionally, people following low-carb diets are less likely to eat more calories than they burn, which is necessary for weight maintenance (32). Summary: Limiting your intake of carbs, especially those that are refined, may help prevent weight regain. Reduced muscle mass is a common side effect of weight loss (33). It can limit your ability to keep weight off, as losing muscle reduces your metabolism, meaning you burn fewer calories throughout the day (34). Doing some type of resistance training, such as lifting weights, may help prevent this loss of muscle and, in turn, preserve or even improve your metabolic rate. Studies show that those who lift weights after weight loss are more likely to keep weight off by maintaining muscle mass (6, 35, 36, 37). To receive these benefits, it is recommended to engage in strength training at least twice a week. Your training regimen should work all muscle groups for optimal results (38). Summary: Lifting weights at least twice a week may help with weight maintenance by preserving your muscle mass, which is important to sustain a healthy metabolism. Setbacks are inevitable on your weight maintenance journey. There may be times when you give in to an unhealthy craving or skip a workout. However, the occasional slip up doesn’t mean you should throw your goals out the window. Simply move on and follow through with better choices. It can also help to plan ahead for situations that you know will make healthy eating challenging, such as an upcoming vacation or holiday. Summary: It is likely that you will encounter a setback or two after losing weight. You can overcome setbacks by planning ahead and getting back on track right away. One habit that often leads to weight regain is eating healthy on weekdays and “cheating” on weekends. This mentality often leads people to binge on junk food, which can offset weight maintenance efforts. If it becomes a regular habit, you could gain back more weight than you lost in the first place (39). Alternatively, research shows that those who follow a consistent eating pattern all throughout the week are more likely to sustain weight loss in the long term (40). One study found that weekly consistency made individuals almost twice as likely to maintain their weight within five pounds (2.2 kg) over one year, compared to those who allowed more flexibility on the weekends (40). Summary: Successful weight maintenance is easier to accomplish when you stick to your healthy eating habits all week long, including on weekends. Drinking water is helpful for weight maintenance for a few reasons. For starters, it promotes fullness and may help you keep your calorie intake in check if you drink a glass or two before meals (41, 42, 43). In one study, those who drank water before eating a meal had a 13% reduction in calorie intake, compared to participants who didn’t drink water (41). Additionally, drinking water has been shown to slightly increase the number of calories you burn throughout the day (44, 45). Summary: Drinking water regularly may promote fullness and increase your metabolism, both important factors in weight maintenance. Getting enough sleep significantly affects weight control. In fact, sleep deprivation appears to be a major risk factor for weight gain in adults and may interfere with weight maintenance (46, 47, 48). This is partly due to the fact that inadequate sleep leads to higher levels of ghrelin, which is known as the “hunger hormone” because it increases appetite (47). 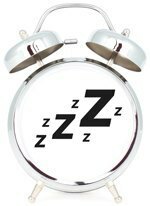 Moreover, poor sleepers tend to have lower levels of leptin, which is a hormone necessary for appetite control (47). Furthermore, those who sleep for short periods of time are simply tired and therefore less motivated to exercise and make healthy food choices. If you’re not sleeping enough, find a way to adjust your sleep habits. Sleeping for at least seven hours a night is optimal for weight control and overall health (49). Summary: Sleeping for healthy lengths of time may help with weight maintenance by keeping your energy levels up and hormones under control. Managing stress is an important part of controlling your weight. In fact, high stress levels can contribute to weight regain by increasing levels of cortisol, which is a hormone released in response to stress (50). Consistently elevated cortisol is linked to higher amounts of belly fat, as well as increased appetite and food intake (50). Stress is also a common trigger for impulsive eating, which is when you eat even when you’re not hungry (51). Fortunately, there are many things you can do to combat stress, including exercise, yoga and meditation. Summary: It is important to keep stress levels under control to maintain your weight, as excess stress may increase the risk of weight gain by stimulating your appetite. It can be difficult to maintain your weight goals alone. One strategy to overcome this is to find a support system that will hold you accountable and possibly partner up with you in your healthy lifestyle. 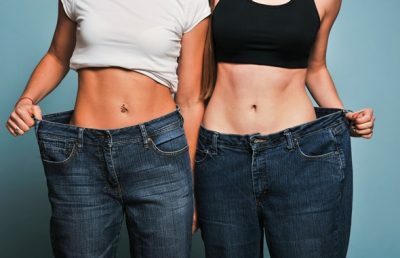 A few studies have shown that having a buddy to pursue your goals with may be helpful for weight control, especially if that person is a partner or spouse with similar healthy habits (52, 53). One of these studies examined the health behaviors of over 3,000 couples and found that when one person engaged in a healthy habit, such as exercise, the other was more likely to follow their example (53). Summary: Involving a partner or spouse in your healthy lifestyle may boost the likelihood that you will maintain your weight loss. Those who log their food intake in a journal, online food tracker or app may be more likely to maintain their weight loss (35, 54, 55, 56). Food trackers are helpful because they enhance your awareness of how much you are really eating, since they often provide specific information about how many calories and nutrients you consume. Additionally, many food-tracking tools allow you to log exercise, so you can ensure you’re getting the amount you need to maintain your weight. Here are some examples of calorie counting websites and apps. Summary: Logging your food intake from day to day may help you maintain your weight loss by making you aware of how many calories and nutrients you’re eating. Several studies link high vegetable intake to better weight control (57, 58, 59). For starters, vegetables are low in calories. You can eat large portions without putting on weight, while still consuming an impressive amount of nutrients (40, 59, 60). Also, vegetables are high in fiber, which increases feelings of fullness and may automatically reduce the number of calories that you eat during the day (61, 62, 63). For these weight control benefits, aim to consume a serving or two of vegetables at every meal. Summary: Vegetables are high in fiber and low in calories. Both of these properties may be helpful for weight maintenance. Consistency is key to keeping weight off. Instead of on-and-off dieting that ends with going back to old habits, it is best to stick with your new healthy diet and lifestyle for good. While adopting a new “way of life” may seem overwhelming at first, making healthy choices will become second nature when you get used to them. Your healthier lifestyle will be effortless, so you’ll be able to maintain your weight much more easily. Summary: Maintaining weight loss is simple when you are consistent with your new healthy habits, rather than going back to your old lifestyle. Mindful eating is the practice of listening to internal appetite cues and paying full attention during the eating process. It involves eating slowly, without distractions, and chewing food thoroughly so you can savor the aroma and taste of your meal. When you eat this way, you are more likely to stop eating when you are truly full. If you eat while distracted, it can be difficult to recognize fullness and you may end up overeating (64, 65, 66). Studies show that mindful eating helps with weight maintenance by targeting behaviors that are commonly associated with weight gain, such as emotional eating (67, 68, 69). What’s more, those who eat mindfully may be able to maintain their weight without counting calories (69). Summary: Mindful eating is helpful for weight maintenance because it helps you recognize fullness and may prevent unhealthy behaviors that commonly lead to weight gain. The reason why many people fail at maintaining their weight is because they follow unrealistic diets that are not feasible in the long term. They end up feeling deprived, which often leads to gaining back more weight than they lost in the first place once they go back to eating normally. Maintaining weight loss comes down to making sustainable changes to your lifestyle. This looks different for everyone, but essentially it means not being too restrictive, staying consistent and making healthy choices as often as possible. Summary: It is easier to maintain weight loss when you make sustainable lifestyle changes, rather than following the unrealistic rules that many weight loss diets focus on. Diets can be restrictive and unrealistic, which often leads to weight regain. However, there are plenty of simple changes you can make to your habits that are easy to stick with and will help you maintain your weight loss in the long term. Through your journey, you will realize that controlling your weight involves much more than what you eat. Exercise, sleep and mental health also play a role. It is possible for weight maintenance to be effortless if you simply adopt a new lifestyle, rather than going on and off weight loss diets.